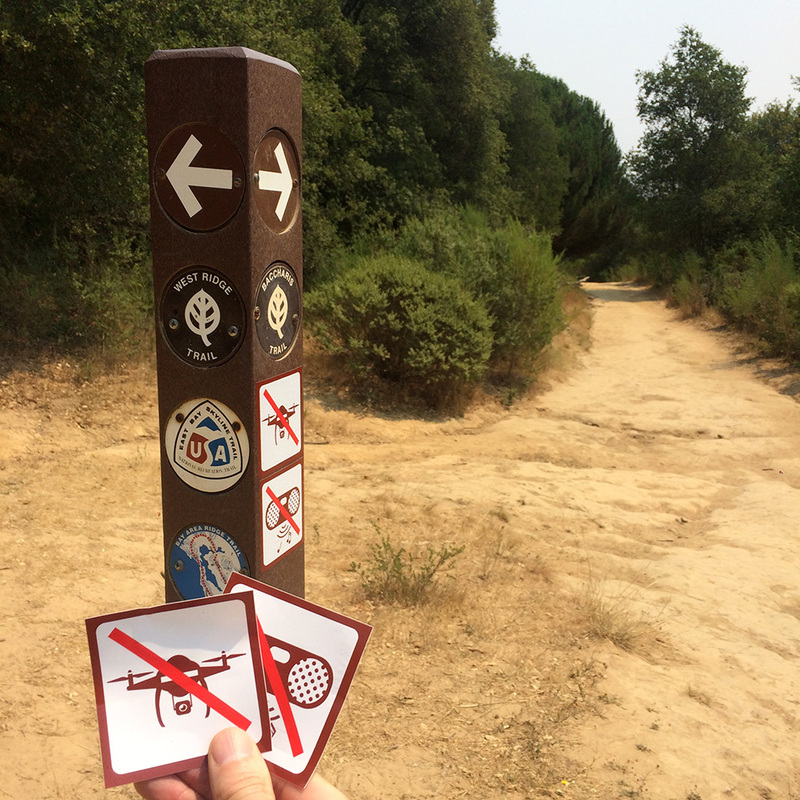 Stick these on trail head posts and other park signs to combat the rise in the use of drones and bluetooth speakers in our parks. Most of us go to nature to be in nature, to hear the water, the birds, and see the wildlife. Drones and music on the trails shatter this tranquility and scare away the wildlife. Drones are usually illegal in state and national parks. Until the park service catches up with the trend, it is up to us to keep technology from invading our natural world. Download the files and print them as stickers. The optimal stickers for this purpose are going to be outdoor vinyl and UV resistant. They are 3x3" images. There are a lot of affordable options for printing outdoor vinyl stickers on-line. Stick them on trail head posts and other park signs, making sure they are well and evenly placed. Do not put them in places where people legally fly drones or big picnic areas where people regularly bbq and play music. These are for hiking trails.